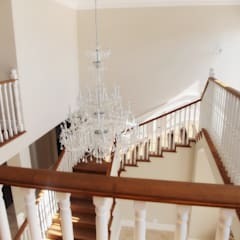 Where can I find design ideas for staircases? homify is chock-a-block with design ideas and inspiration for staircases, ranging from grand, double-storey models to simple little patio steps. 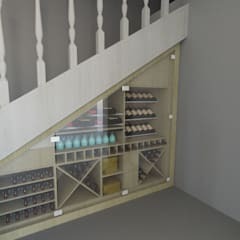 In addition, we also provide clever storage solutions, lighting ideas and tips on how to make your staircase more stylish via added decorations like balustrades, carpet runners, etc.. 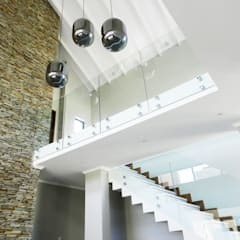 Whether your staircase is right at the centre of your foyer or slightly hidden behind a corner, South African professionals (including interior architects, designers and decorators, and many others) can help you squeeze more potential out of your stairs. 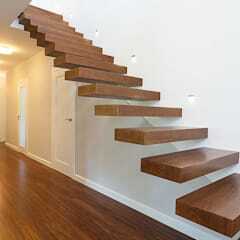 What is the ideal design for a staircase? 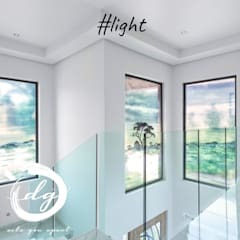 Just like any other interior element in a house, a staircase is open to various designs and styles, not to mention colours, shapes, materials, etc. 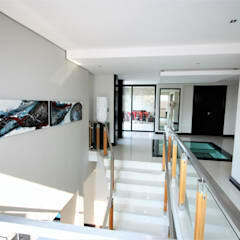 These are all dependent on your home’s look, your personal preference and, of course, your budget. 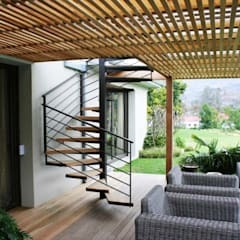 A wrought-iron spiral staircase, for example, might be the more appropriate choice for a modern/classic home, while an open-riser timber design is more appropriate for a country-style residence. 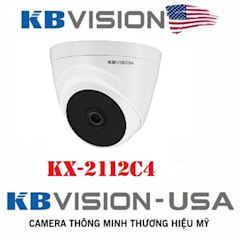 Seen a design that you like, yet not sure how to go about including it in your home? 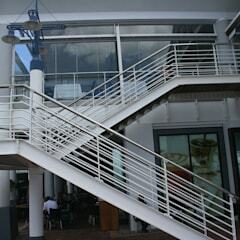 South Africa has numerous staircase- and staircase equipment manufacturers specialising in custom-made stairs for spaces, both indoor and outside, who can assist you from the concept stage right through to completion. Take a look at our professionals page for a detailed category listing of various experts operating throughout South Africa. 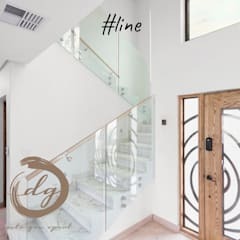 And don’t forget to browse our stairs category for hundreds of different designs for interior- and exterior staircases to help inspire you. 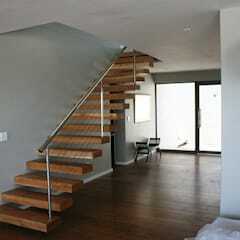 How can I decorate a staircase? 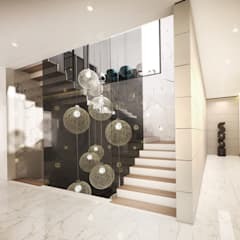 Although the main purpose of a staircase is to help people travel from one floor to the next, it can’t be denied that, when designed correctly, a staircase can also become a prime focal/décor piece in a house. 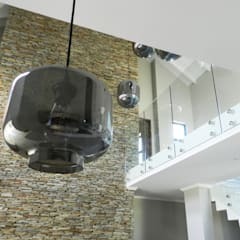 If you moved into a relatively old house with an outdated staircase, it might be best to renovate it – not only to achieve a more stylish look, but also to keep the safety of you and your family (and guests) in mind. 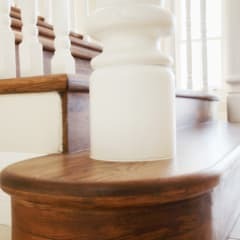 Apart from pulling out an old staircase and replacing it with a brand-new one, there are lots of other options to give an old staircase a new look. 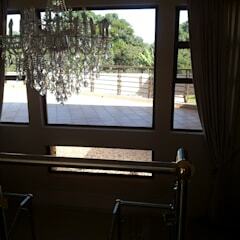 Changing the banister to allow more light to flow through is an easier option and can ensure a more modern look. Painted stairs in various colours can bring about a fun and cheery style. Some people even opt for motivational words on the risers going up. 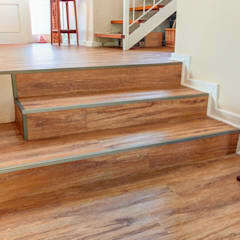 Another trick is to paint the treads and wallpaper or varnish the risers to really make a statement. 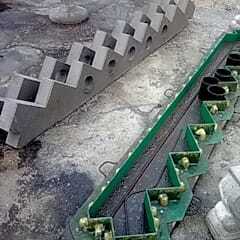 However, like any other design project, this one can also take up a lot of time and costs. 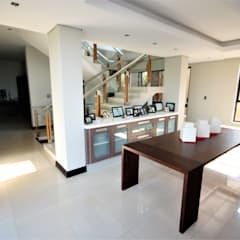 And should you choose not to use a professional and go the DIY route, ensure that you make use of the right materials, tools, and safety gear, and that you abide by the relevant safety- and building regulations appropriate to South Africa! 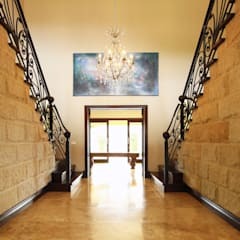 Of course the staircase itself is not your only option to breathe some stylish life into a space with steps – the wall connected to those stairs can also undergo a few changes, such as new wall sconces, a splash of paint or perhaps a framed photo gallery, which can enhance the look of the entire room. 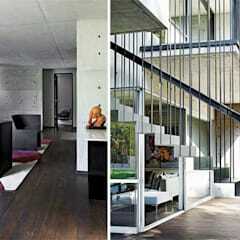 And don’t forget about that space right underneath your staircase, which often goes to waste. 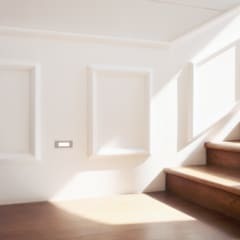 If you have an open-riser staircase, can you put that area underneath the steps to good use by, for example, placing a credenza to help out with storage? 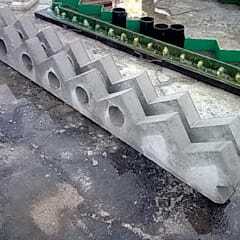 Or maybe decorating it with an indoor garden? Remember that anything that adds to your household in terms of functionality or style (instead of letting empty legroom go to waste) is good! 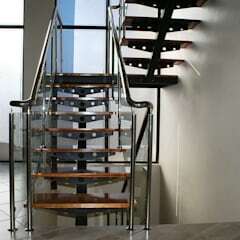 What is the importance of a beautiful staircase? 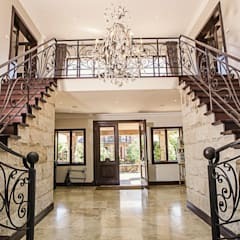 Apart from the fact that stairs are usually the first thing one sees when walking into a house, they also play a big part when it comes to selling a house – buyers make up their minds within 30 seconds of opening a door, and if a poor staircase is present, that doesn’t bode well for the potential sale. That’s why it’s definitely worth the time to think about the impact those stairs are having on the rest of your property. 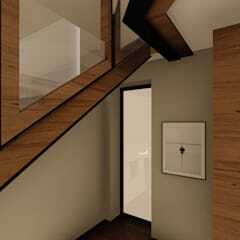 Nowadays, an interesting staircase is as important as a good kitchen or master suite. 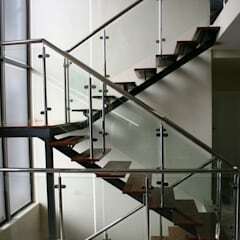 And the wrong staircase can be detrimental to a sale. 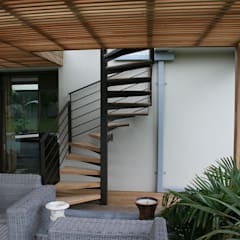 And don’t assume that a spiral staircase is always the right answer for a tight space, as it can take up just as much room as a normal flight – one is long and narrow, while the other is short and wide. 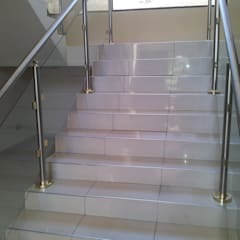 Always know where you want to start and where you want to arrive on the floor above when planning your staircase design. And take into consideration that while the work is being done on those steps, you might not be able to get upstairs, so it might be worth moving out or making alternative sleeping- and bathing arrangements.